Senior leaders make daily judgments that impact patients, employees, the community and the organization's mission. Don’t leave their selection and development to chance. HIRE THE RIGHT LEADER: When choosing a senior leader, you need a comprehensive under-standing of a candidate’s potential to succeed in the specific role. Select International is a trusted advisor to Fortune 500 companies and top health systems when it comes to understanding leader potential. DEVELOPMENT: Our tools are the foundation of individual and group leadership development programs at top organizations. Configurable for senior positions, this highly predictive online behavioral assessment evaluates 18 specific competencies across Interpersonal Skills, Leadership Style, Thinking Style, and Work Style. Built for healthcare, the Selection Report allows you to compare candidates, while the Insight Report provides the basis for individual development. • Benchmarking and group reports can be used as part of a unique, interactive team Impact Session. The data is combined into a thorough, easy to understand narrative report highlighting strengths, challenges, and important considerations. This process often includes a candidate interview that allows a trained assessor to explore performance attributes and to enhance the candidate experience. The process, the assessment, and the reports can be automated for high volume situations or completely customized for specific needs. 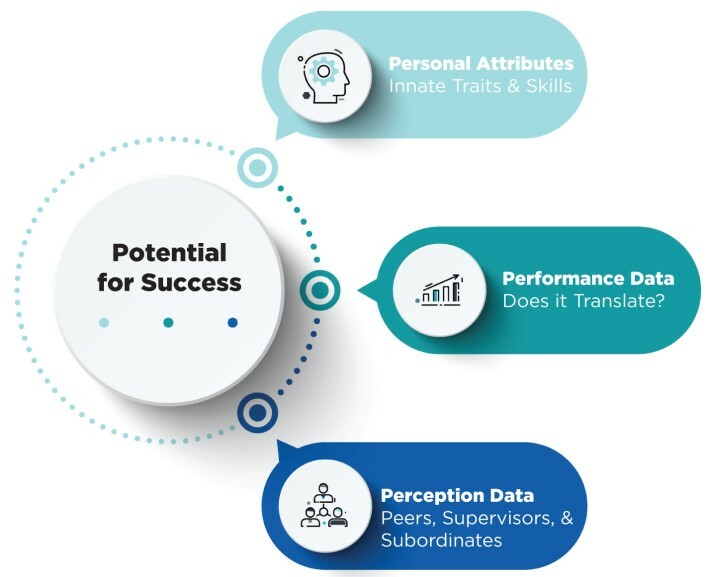 Fully understand an individual’s strengths and developmental needs by combining Performance and Perception Data from Insight 360, and data on relevant Personal Attributes from Select Assessment for Health Leaders.